DETROIT (Bloomberg) -- BMW boosted sales of its 3 series cars and X5 SUVs last month, helping the automaker narrow Mercedes-Benz's luxury-vehicle lead in the United States. Sales of the BMW brand rose 13 percent in July to 24,043, while Mercedes reported a gain of 23 percent from a year earlier to 23,648, according to statements today. Toyota Motor Corp.'s Lexus posted a 26 percent increase to 23,031. The monthly results trim Mercedes's lead this year to 1,124 vehicles as the two German automakers compete for the annual sales crown BMW has held for two years. Mercedes parent Daimler AG signaled last month it expects to come up short again in 2013. "I don't think we'll be No. 1 at the end of the year and that's OK," Daimler CEO Dieter Zetsche told reporters July 12 in Seguin, Ontario. "We won't play any games. I'm not sure that applies to our competition." As recently as May, Mercedes had a lead of more than 4,000 vehicles. Mercedes sales for the year through July gained 12 percent to 165,598, Daimler said today. BMW's deliveries for the period rose 11 percent to 164,474. The figures don't include Daimler's cargo vans and Smart cars and BMW's Mini brand, which aren't luxury vehicles. 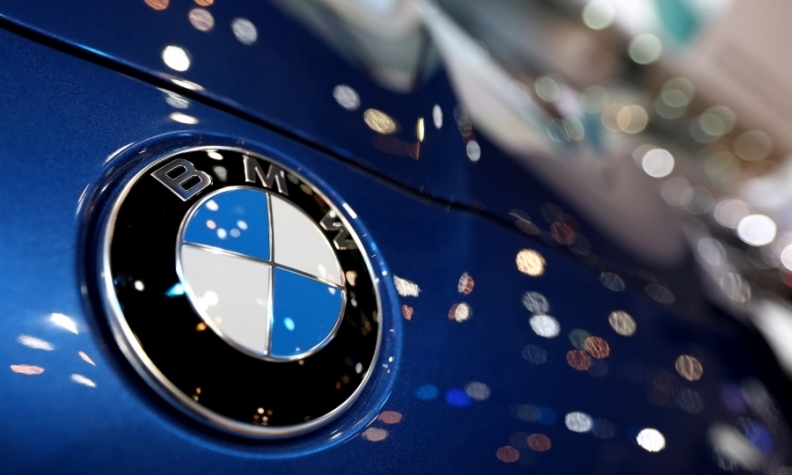 BMW's status as annual leader for 2012 is based on reported sales. By vehicle registrations, Mercedes topped BMW last year, according to researcher R.L. Polk & Co. Sales of BMW's 3 series, its top-selling model, surged 29 percent to 9,890, helped by the new 320i. BMW's X5 climbed 17 percent to 2,674. Mercedes was led by gains of 34 percent to 7,604 for the C-class sedan and 73 percent to 3,092 for the M-class SUV. Lexus reported an increase of 62 percent for the ES sedan and a 15 percent gain for the RX SUV. Toyota said its luxury brand gained 12 percent to 141,446 vehicles this year through July. Lexus was the annual U.S. sales leader for 11 years until natural disasters in Asia curtailed 2011 output. General Motors Co.'s Cadillac luxury-brand deliveries rose 17 percent last month to 15,652 on demand for the new ATS and XTS sedans. Through July, Cadillac sales climbed 30 percent to 99,331, GM said in a statement.